SARC was founded in 1980, when the computer age was still in its early days. Starting with simple programs for tables of hydrostatic data, tank sounding tables and hydrostatic stability calculations, SARC has ever since been developing new software, investigating and implementing new techniques. SARC is continuously investing in research and development, to be able to assist the maritime and shipping industry in ever increasing complexity of regulations (SOLAS 2009, DR-67, ADNR, to name a few). Through these efforts, our software has become Dutch standard of industry, and well used abroad. 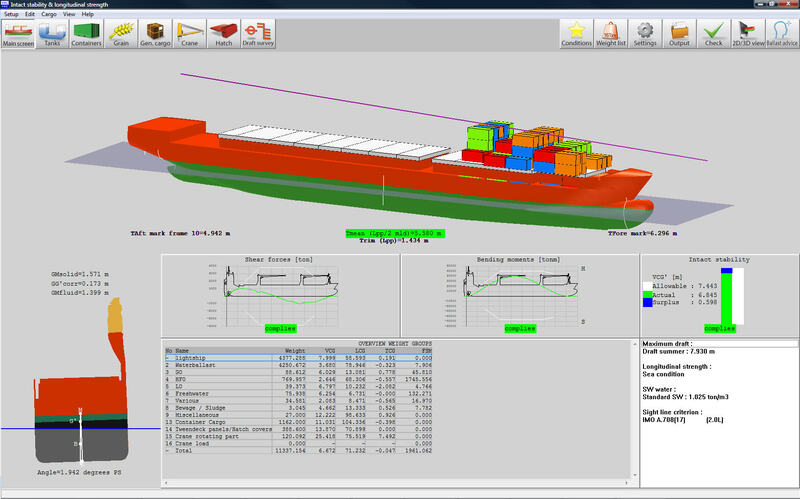 Loading computer software for onboard use, including (damage) stability, bending moments, line of sight,easy cargo planning, etc. Hull design and fairing for production purposes, hull transformations, plate expansions, file conversions, etc. Reverse engineering of lines plans and construction using photogrammetry. SARC employs only trained and experienced naval architects, involved in both software engineering and project support.